1. 2-shaft, claw-cutter breaker has the best ability to shred anything with low noise, vibration free. 2. 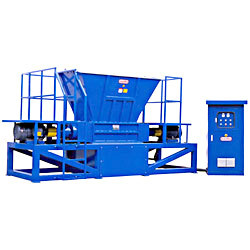 Auto reversible equipment to prolong the life of machine. 3. Bulky plastic products, unusual objects, tires, logs, pallets, etc.